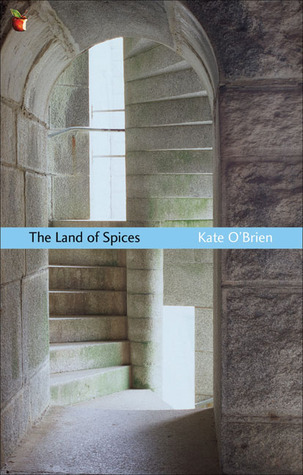 Kate O’Brien’s novel, “The Land of Spices,” does not offer much in way of a summary. Published in 1941, the novel is set in an Irish convent of a French order and run by an English nun. But outside of the upsurge of Irish nationalism and some politics in the order, nations play a small role. Instead, the convent is its own world, which deals with the outside world through the students who go home for vacations. Mere Marie-Helene is the nun, and throughout the book we also see the growth of young Anna Murphy, from six to sixteen, as she moves through life. There is a bond between the two, but the relationship is intentionally kept at a distance. In fact, as readers we are kept at a distance, watching a story unfold slowly. Although there are two events which occurs to each of them near the end of the novel, and these are life-changing events, we still see at the end what looks to be a natural parting of ways. Natural, because, indeed, it is natural. Roles changes. Life experiences change us. We all make different decisions. Hardly a description to sell a lot of novels, but it is still a novel not to miss. What goes on in these pages show a great deal of the human character, the thoughts and events which shape us, the faith which challenges many of us, the relationships with present and past people, the choices we must make, and the pressures we face. And it does so without the unnecessary drama of self-obsessed people. There are many themes which could be explored here. We have the challenge of personal obedience and personal freedom, without either side being shown as a preference. Mere Marie-Helene understands her obedience to God and her order come from a personal choice, her personal freedom. She also understands that not everyone will make the same choice, which is expected. Finally, as a fan of 17th century poetry, it was wonderful to see the importance of literature in this novel. The connection between the two characters comes because the six year old can recite a poem the nun learned as a child from her own father. The title itself comes from a George Herbert poem, which I provide simply for an excuse to sneak such a poem into my writing. The novel itself has a challenging history. The book was banned for lewdness because of the line “in the embrace of love.” Of course, it is not the line itself, but the context which caused the commotion. O’Brien herself fell out of popularity, and this novel (and I believe others) went out of print. It would have been a loss for this novel to remain unavailable, so the return is welcomed. It is not often I stray into the world of science fiction, but my oldest son challenged me with a classic text as a Christmas present. It was a pleasant stray. 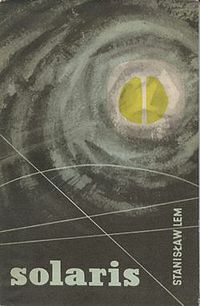 Stanislaw Lem was a Polish writer, and Solaris, published in 1961, is considered by many (and I’m in no position to argue) a classic of science fiction. The novel is centered around psychologist Kris Kelvin, an expert on the planet Solaris, who visits there to study the ocean which covers the planet. He arrives to find one of his colleagues has just killed himself, the remaining two are acting strangely, and unexpected visitors are arriving. The visitors, it turns out, are created from their memories. In Kelvin’s case, he suddenly finds himself spending time with his wife, who killed herself after they argued nearly 20 years before. But where do these creatures come from? It is interesting to consider that you could switch their appearance to a devilish influence and you have a horror novel. Instead, Kelvin and the others think the Solaris ocean is creating them. The ocean is a living being, and they attempt to communicate with it. Are these resurrected beings meant to curse them? Are they gifts from the ocean? Their attempts at communication are constantly frustrated, and from what others say about the book, Lem is commenting on inability of humans to communicate with non-humans. His philosophical forays lend support to this, but like much good science fiction I’ve read, the real skill is in looking at humanity from a new perspective. What do these appearances say about us as people? The creatures are human in nearly every respect, but Kelvin can tell that this is not his wife. Even if we can replicate the cells of our body, will we create the same person? Most interesting (but not fully explored) is the creature’s growing awareness of its own existence. This creature, resembling his wife, Rheya, knows she is not who she thinks she is. She has no past, yet she has a memory. How and why did she appear suddenly on the space station? We see her struggle with her own identity, similar to how a human would, but for different reasons. It is in the raising of these questions, without attempting to answer them all, that Lem’s novel works so well. He uses a science fiction premise to examine one of our most perplexing creatures — us. Jane Austen fans will lovingly quibble over which of her novels is the best. Pride and Prejudice is a universal favorite (and my personal choice), while Sense and Sensibility has a strong following behind it. 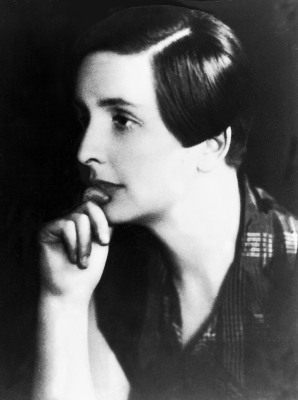 But scholars often point to Emma as her finest work. It is her longest work and she excels at using dialogue as the vehicle for telling you the most about her characters. Seemingly unimportant conversations are essential at showing you the motives, the tenancies, the strengths, and the errors of her characters. I’ve read this book several times and now spend more time on these character-driven sections than in the past. It is truly some amazing writing. But what has held me, and perhaps others, away raising the Emma flag too often is, well, Emma. Austen herself famously wrote in a letter prior to starting the novel that “I am going to take a heroine whom no one but myself will much like.” I must say, I’ve always felt she hit it on the mark. Emma is a manipulative person who feels she knows what is better for everyone else than they do themselves. When her attempts at matchmaking fail, she shows temporary guilt, and then unconsciously moves on to the next matchmaking attempt. She grooms one young lady like a puppy, and then sets her up for one fall after another (unintentionally, but still!). And then (PLOT SPOILER) in the end she gets all that she wants. Clearly, if you are familiar with Austen you expect a happy ending, so that is not much of a spoiler, especially she does not figure out what she wants until near the end of the novel. Perhaps the most damaging mark against Emma comes close to the end when she makes an accurate, but hurtful, comment toward a woman who talks too much. The “Box Hill Incident” shows Emma at her worst in that she seems unaware of the influence she has on others. Only when she is taken to task by her friend, Mr. Knightly, for her comment, does she begin to understand the damage she has done. That she is unable to immediately undo the damage gives her time to consider the consequences. I’ve always felt uncomfortable with this scene because, to put it simply, it is uncomfortable. You watch helplessly as one person makes a fool of themselves and then makes it worse by her cutting remark. However, reading it this time, I was uncomfortable because it is a great shot — she is right on mark and she is funny. That line to one person may have returned with an equally adept shot, but in this case she hits a person who is defenseless in so many ways. Mr. Knightly highlights this in his censure of Emma’s actions. Which brings us to the underlying issue of class distinction found in the novel. What makes Emma’s comment so wrong is not the comment itself, but the person she hurt. It is someone beneath her social circle, someone who has seen her social stature drop, and someone who will not see it rise. She is down and Emma has kicked her. Emma should have see the fault because she is very conscious of class. But as Mr. Knightly implies, that is simply a matter of birth. While she will have advantages that others will not, that only makes it more important for her to reach out to others. Austen shows the breaking down of the social classes in the early 19th century. Wealthy tradespeople are buying property and asserting their social demands — think of it as the New York battles between “old” and “new” money seen in Edith Wharton’s novels. In Emma we see the blurring of these lines, especially in a small society, but the lines are still there. By the end of the novel the lines have been broken in one case, but maintained in two other relationships. Austen blesses them all with happiness. As for Emma, she is unlikable in that she is really like us. She is a flawed character. Austen does not present too many stereotypes, and, in fact, Pride and Prejudice relies on our character flaws for driving the novel forward. 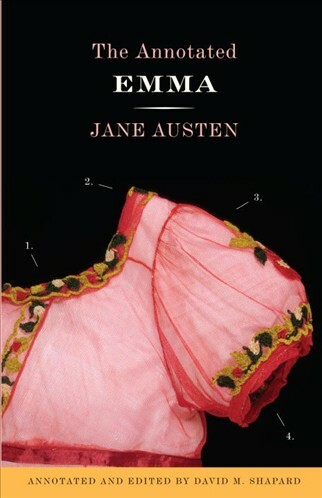 But Emma is more flawed, more realistic, than most of Austen’s characters. It may be that glimpse in the mirror which has driven me away from Emma since I first read this novel many years ago. As I get older I find I’m more comfortable acknowledging my faults. Perhaps that is why I’m now more comfortable with Emma. A final note. I read the “Annotated” version by David Shapard. This is the third of these editions I have read and I enjoy them immensely. On the left hand page is the text and on the right hand page are Shapard’s notes, which at times are reflections on the text, at times clarifications of definitions, and at times insight into time-specific elements (such as what the different carriage styles signify). For a first-time reader I would recommend focusing on Austen, but then be sure to return to one of these versions for a fresh look at a classic.